FOXBOROUGH, Mass. -- An NFL season can be grueling and the longer it goes, the harder it gets. FOXBOROUGH, Mass. — An NFL season can be grueling and the longer it goes, the harder it gets. Bodies get battered, minds get weary. It takes time to recover from the pounding the players take each week. Neither the New England Patriots nor the New York Jets have that time this week. The teams play Thursday night at Gillette Stadium, their second game in five days. Both won their openers in the final seconds last Sunday, the Patriots edging Buffalo 23-21 on a Stephen Gostkowski 35-yard field goal with five seconds left, the Jets downing Tampa Bay 18-17 on a Nick Folk 48-yard field goal with seven seconds remaining. For players accustomed to having days off to recover physically, this is a tough week. The Patriots haven’t had a full practice this week, just walk-throughs. Bill Belichick felt that was the best way to prepare for the game. The time constraints placed on the teams limit what they can do to get ready. While most Patriots said Tuesday that the short week is tough no matter when it occurs, at least one is glad the short week is this week. “If you have (the short week) early, your body is not as broken down as it is in Week 10, 12,” said linebacker Rob Ninkovich. “Some of the teams that are going to have 13 games and then play a couple days after playing on Sunday, it’s hard as the season progresses. He knows all about the limitations — “Having such a short week, you have to just get your body back to as much of 100 percent as you can get it,” he said. “These NFL games, they take a lot out of you so you just have to do your best to make sure you recover before a Thursday night game,” — but he’d rather face them now than later. The teams simply have to make the best of whatever time they have. The game plan has already been established but, as Vince Wilfork said, it’s not set. “Against the Jets, we’re going to do some things we didn’t do against Buffalo, things that are more suitable for Jets,” Wilfork said. “And we have to get it done, leading up to game day, just because it’s a short week. In weeks like this, the in-game adjustments may mean the difference between winning and losing. While the Jets and Patriots are long-time rivals — “It’s Boston and New York,” Brady said. “Been that way since I got here,” — they have a good understanding of each other. But because both teams have undergone a lot of changes since last year — the Patriots offense relies heavily on new players and the Jets have new coordinators on offense (Marty Mornhiweg) and defense (Dennis Thurman) — they can only try to predict what will happen in the game. Ninkovich, who has more fumble recoveries (10) than any other NFL player over the last four years, said the sideline changes aren’t huge, just a little tinkering here and there. But they are crucial. The Patriots have obviously studied tape of the Jets from the preseason and from their opener against Tampa Bay, focusing on the new players such as quarterback Geno Smith. But, said Ninkovich, you know the Jets will have something special for the Patriots. “We’re the Patriots and there’s always going to be a change-up for us,” he said. Well, according to Rex Ryan, if you didn’t throw something different at the Patriots, you’re just asking to lose. 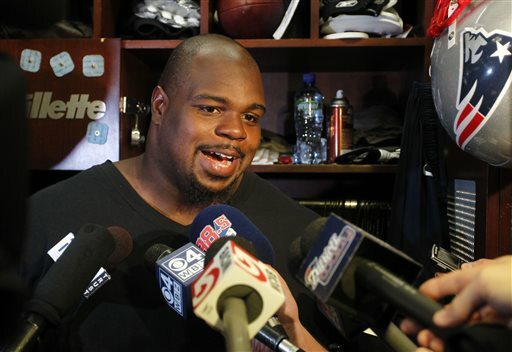 Wilfork said the short week is just another challenge facing an NFL team. Next week, the Patriots will have a long week to prepare for their third game, against Tampa Bay. And hope that it’s enough.